Sellers have taken over the pair at 1.1215/20, I pointed that level at my entry, let’s see could buyers turn up again. 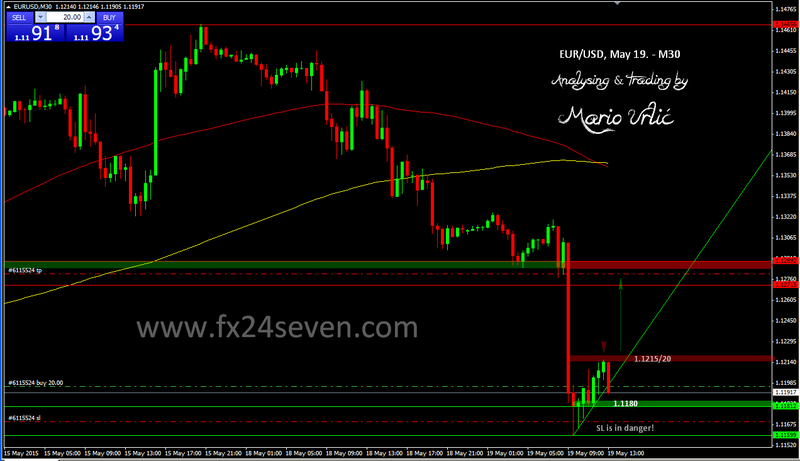 Like I wrote before, H4/MA100 is placed here at 1.1200 as well. 1.1180 could be the support if the pair fell lower. It’s interesting for sure. My SL is in danger now! I will leave this trade and I will not move my SL lower, risk on my capital in this trade is 0,5%!